If you’re looking for an easier, faster way to create your OWN videos without having to travel to a studio, consider building a green screen studio right in your own office! We have done this for a number of clients, and it allows them to conveniently harness the power of video. Even better, you can partner with a studio (like us!) and send them your raw footage to edit, optimize and post to the web. Videos are an amazing tool for your website. One-third of all online activity is spent watching videos! What’s more, 26% of Internet users seek out additional information after watching a video. If you want to be seen by some of the 100 million people watching online videos every day, you should consider building your own studio. If you are wondering where to start, we’ve put a list of essential items together, as well as links where you can purchase them. 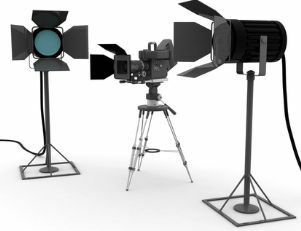 These are the tools you will need for lighting, shooting, audio, and actually getting the video from your camera to your computer. 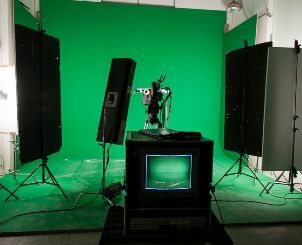 The total cost of building your own green screen studio can run you about $3,000-$4,000. 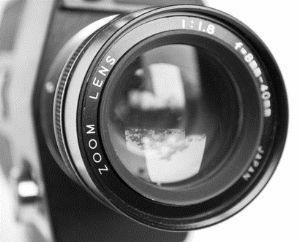 Your camera is the most important element in the finished product. 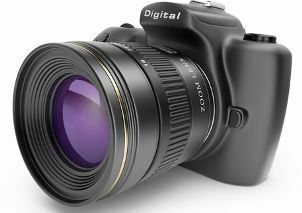 Your camera lens has a huge impact on your depth of field focus, detail, image quality, and how much light your camera will pick up. 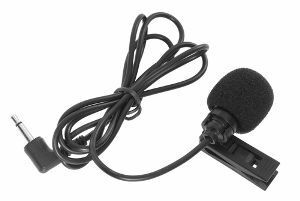 Don’t forget about a microphone! Poor audio quality can ruin a beautifully shot video. 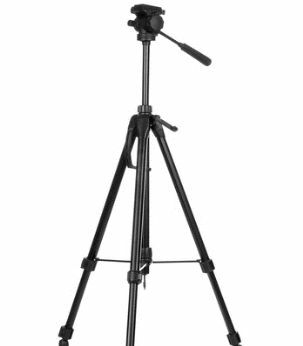 A tripod is critical for stabilization to allow you to move the camera fluidly while filming. Good lighting is really important, as well. Dark, grainy videos are hard to see and can undermine your authority on a subject if the video quality is poor. Finally, you’ll need to buy a green screen. In order for post-production edits to give you the look and feel you want for your video, a green screen is necessary. We’ve all seen bad home videos. They are grainy, dark, outdated, and unprofessional. Video production is an incredibly useful tool that is only growing in popularity and use. Like your written content, your video needs to be a polished, well-planned, and well-executed product. If you want to take advantage of this awesome medium for content, we encourage you to use the information provided, and build your own green screen studio! Of course, if you have any questions, or want to take the hassle out of doing it on your own, we can come to you and build it for you. And if you hadn’t noticed, we have an amazing studio in our Fairfax, VA office where we shoot hundreds of client videos! You can call 888-886-0939 or contact us here to learn more about our video services or get answers to your video-related questions.